This is the second article in a series on starting your own website and why you should sell online. In this article I will by discussing how to choose a niche, and what to build your website around. Essentially what the content in your website will speak about and the types of products or services you might sell. Personally, I think one of the hardest parts of making money online is finding the right niche market. 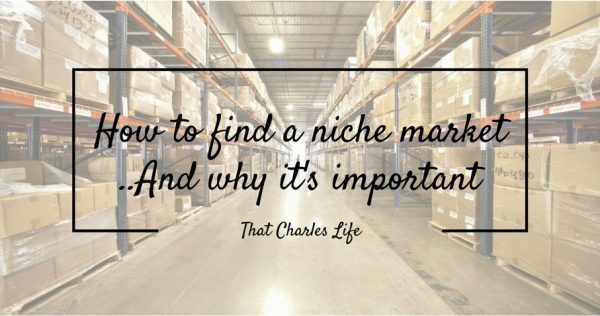 Finding the right niche is vitally important. It’s the difference between making money and seeing success. Or being stuck with aging inventory that’s not moving, and time and effort wasted writing content, designing websites that grabs no traffic. Let’s try avoid the latter. A niche is a specific subset of a broader subject. For example, Lawyers practice law. But there are many different types of law that a lawyer can practice. Some deal in family law, some defend criminal, and others deal in corporate mergers and other business like that. In an earlier post, I talked about how being very good at one thing, will take you far closer to success than being mediocre at many things. There’s so many options on the internet, if you can make a name for yourself in one very specific area, you will do well. People aren’t looking for general things anymore, they have needs and they know there does – or should – exist something for exactly the problem they have. If you can provide something of value that is exactly what – hopefully lots and lots of – people are looking for you can make bank. As WealthyAffiliate puts it “think of a niche as a group of people all looking for the same thing”. Niche marketing is promoting and selling something very specific to a group of people. Whom all have the same issue or problem needed to be solved. So if you are looking to make money online through a website or amazon. You need to zone in on something. Enter your information below to continue reading the full article & get updates on when the next articles in this series come out! In the next article I will show you how you can set up and build your very own website or blog!